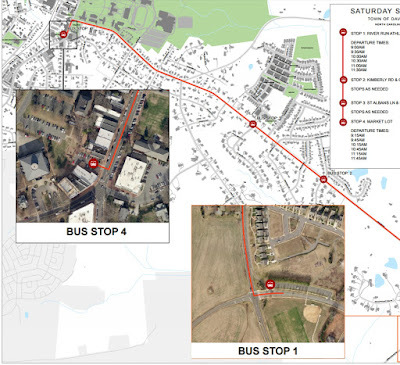 The Town of Davidson will become the newest public transit service in the area with the trial launch of a shuttle service on Saturday mornings coinciding predominately with the hours of the Farmers Market. The Town of Davidson is pleased to announce the start of our “Saturday Shuttle” program to help transport citizens to downtown Davidson. 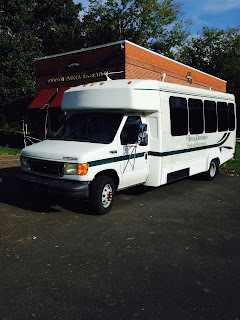 The shuttle will run on Saturdays in September and October from 9:00 a.m. until noon. The purpose of the shuttle is to provide Davidson citizens with convenient transportation to downtown Davidson to visit the Davidson Farmer’s Market and our many shops and restaurants. There is no mention of a charge for the service in the town's press release, so it is presumably free to riders. The town will use its Parks and Recreation bus for this shuttle. A question into the Economic Development department as to the cost/funding for the program was not immediately returned. "Parking" has long been a hot topic in Downtown Davidson, but truly the one time where parking is a consistent challenge is Saturday mornings during the Farmers Market when the market takes up the largest parking lot in downtown while at the same time attracting large crowds. It will be interesting to see if this shuttle serving Davidson's east side impacts that dynamic. If you have been watching the construction project at the end of Peninsula Drive in Davidson, Sunday offered a sneak peek into what will be the town's newest retirement residence. Williams Place held an open of sorts. The building is still a full-blown construction site, but it let prospetive renters in to take a look. The 128 unit building is being well received in the market. 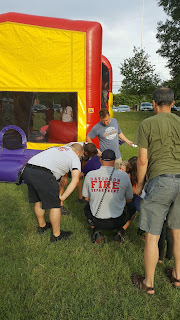 Based on some numbers thrown put by one of the staff who was on hand, more than 200 attended the open house and 160+ had expressed serious interest to date. A few weeks ago neighbors in the area also received a flyer saying only 18 units were left. While it looks like there is significant work left to be done, the building is supposed to open November 1st. Here's the info and some pictures. Have you ever been unable to find an answer to a question you had about your local government? Have you ever wondered what official town business your elected officials were discussing via email? Have you ever wondered how much in travel, lodging and meal expenses your elected officials were charging when attending out of state conferences? I used to have similar questions that kept me up at night until I discovered Chapter 132 of the North Carolina General Statutes on Public Records. Now I can send off a records request in no time at all! By the end of this piece hopefully you too will be able to quickly and easily request the answers to these and many more questions from your local government. A public record in NC is defined in NCGS §132-1(a) as all documents, papers, letters, maps, books, photographs, films, sound recordings, magnetic or other tapes, electronic data-processing records, artifacts, or other documentary material, regardless of physical form or characteristics, made or received pursuant to law or ordinance in connection with the transaction of public business by any agency of NC government or its subdivisions. §132-1(b) goes on to outline the position that public records are property of the people so the people should be able to obtain copies of their public records and public information free or at minimal cost unless otherwise provided by law. The default position outlined in §132-1(b) means that if any public agency denies your request for records they have to specify an applicable exemption – simply denying or ignoring a request is insufficient. For example, if your local police department declines your request for incident reports related to crime statistics cited by them in a report to the local town board ostensibly because they are protecting victims of crime, you can respond by citing to the exemptions outlined in §132-1.4(c) which specifies information that must be provided. Drafting a records request in NC does not require you to hire a lawyer or have any special expertise. The law is designed to provide everyone easy access to government records in a timely manner. A request can be made orally or in writing and there is no specific format a written request has to take, i.e., it can be a simple email or even a handwritten note. You do not have to disclose the purpose or motive for your request pursuant to §132-6(b). And you do not have to appear in person to obtain records if those records exist in an electronic medium pursuant to §132-6.2(a). Most records can easily be scanned and emailed these days, although some historical documents may necessitate an in-person inspection. §132-9 even provides legal remedies for anyone denied access to public records. Chapter 132 is worth reading in full and can easily be found with a quick internet search or at the NC General Assembly website. Two other great online resources for anyone wanting more information on records requests or government transparency are the UNC School of Government and the Sunshine Center of the NC Open Government Coalition. The Coates’ Canons blog at the UNC School of Government is a great place to start any local government related research and their staff are always willing to answer questions via email or phone. Open record laws help to keep all levels of government accountable. But it takes an engaged citizenry to take advantage of these laws. If you have ever wanted to submit a records request but didn’t know how, I will gladly provide any interested reader a records request template upon request. Most of my requests are directed towards Huntersville (and have all been timely responded to thanks in part to Town Clerk Janet Pierson), but the same laws apply in Davidson and Cornelius as well. Sometimes you will be surprised what information a simple records request can uncover, but you’ll never know until you ask. By July of 1984, the situation had been sufficiently remedied with covering materials and agreement for ongoing maintenance to satisfy authorities. Now, more than 30 years later that asbestos and the issues with its presence on that site are about to see the light of day. 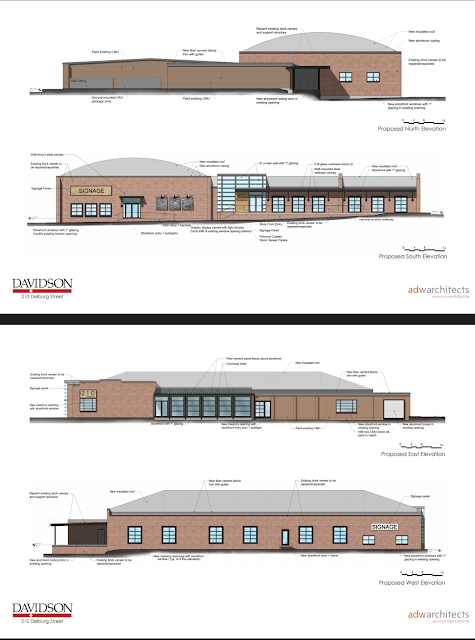 On April 13, 2015 the Town of Davidson approved the individual building schematic design for a redevelopment project at the site. 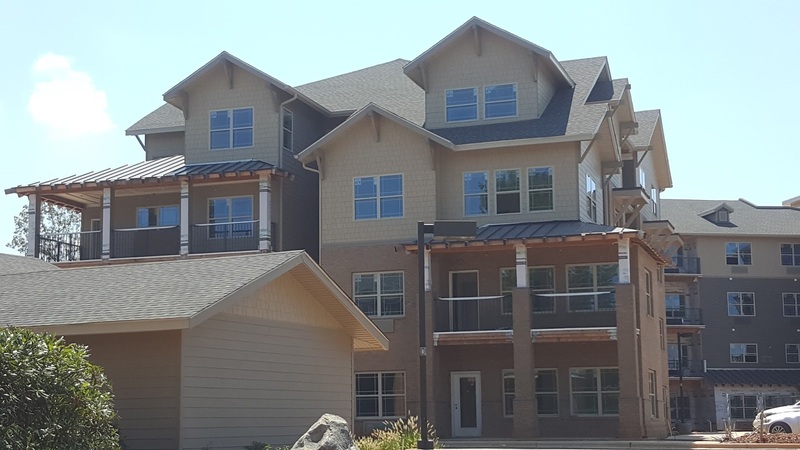 The project, called “Davidson Depot”, is a 4 story, 180 unit apartment complex. Since then the developer, Miller Valentine Residential Development out of Cincinnati, OH, has been conducting preliminary work for remediation for the asbestos. As one can imagine, remediation of a large amount of asbestos is expensive. Proposals for the site have come and gone over the years, but none have made the numbers work. However, this one appears to have possibly solved that riddle. The reason for using the word “possible” is because the project has been somewhat shrouded in secrecy up to this point. However, a recent public records request revealed quite a bit. Back in March of this year, Town Manager Jamie Justice asked the developer if a copy of the environmental report for the project was available. As of last Thursday, according to Justice the town still didn’t have a copy – nearly 5 months later. The records request also revealed a series of meetings coordinated by the developer with town staff. Some were to be public, others not. The first public meeting on the list was an architectural presentation to the town’s Design Review Board. That meeting occurred on August 17th. At that meeting it was announced there would be a public meeting on September 29th to discuss the brownfield issues and the asbestos problem. However, that won’t be the first meeting on the brownfield cleanup. A meeting was planned in early August between the Town Public Information Office and the developer’s PR firm to discuss “brownfield messaging”. For obvious reasons, there is something troubling about the town working with a developer’s PR operation. The documents referenced at the top of this piece were emailed to that PR firm on August 15th. At least one closed Board meetings has occurred. A closed meeting was planned with the NCDENR in attendance to discuss the site this past Tuesday, August 23rd. Also, someone familiar with earlier discussions verified the project has had at least one other closed meeting. The official reason for the closed session this week was “economic development”. Whether or not a Board goes into a closed session is largely up to the Board’s discression as long as it falls into one of a few broad categories allowed by law – economic development being one.. However, the saying “just because you can, doesn’t mean you should” comes to mind in this situation. Citizen requests on Monday to open the meeting were met with a form response from the town manager saying the meeting was closed but inviting citizens to attend in September. The meeting was suddenly cancelled on Tuesday morning. With this many things not passing the smell test, folks are bound to believe something rotten other than asbestos lies below the surface. Davidson's Catalyst Project has been quite the show. For two years Town Hall has spent untold hours working with the UNCSOG Development Finance Initiative consultants to spin a tale of how a Public Private Partnership could transform downtown by generating enough private sector investment to spin off extra capacity for the public sector. The only problem? Few in town liked that storyline. It was too big, too gaudy, and just too much for most to stomach. 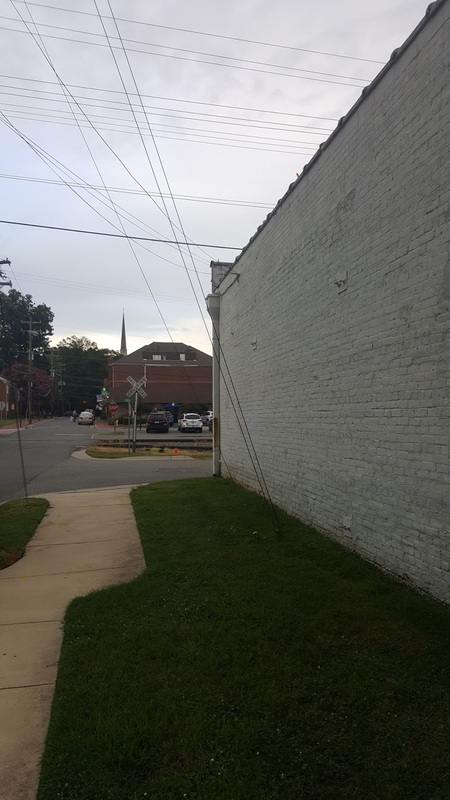 Many of you have been involved in the process of studying the four acres of town-owned land in downtown Davidson, the Downtown Feasibility Study, over the past two years. During this process, the Davidson Board of Commissioners recognized a need to transition the focus to improving public facilities to position us to effectively serve our citizens as our community grows. 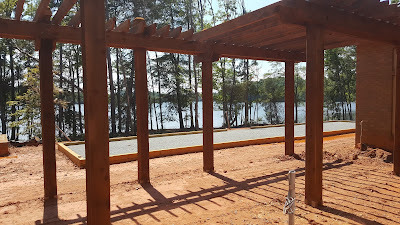 They have provided direction to town staff to evaluate town facility space needs, as well as a public parking solution and public space improvements. At this time, they no longer wish to pursue opportunities for private investment on town-owned land. The UNC School of Government’s Development Finance Initiative will not be involved in the process moving forward since there is no private investment. Staff will now begin developing plans for public facility needs to ensure we are able to serve our citizens as our population grows. A new process and timeline are being established as we close out the Downtown Feasibility Study and transition to a public facility assessment. We appreciate the time and input you gave throughout this process. There will be opportunities for public input as we move forward with a public facilities plan. We value your opinion and hope that you will stay engaged during this process." A little known factoid originally exposed by aShortChronicle was that DFI was being paid on commission based on how much private sector development ultimately was included in the project. The town had always played up how inexpensive DFI was directly to the town. The town only paid about $50,000 for their services. However, DFI's real payday was going to be on the commercial development. That clearly was a motivation to increase and prioritize that as much as possible. Now that the possibility of that has gone away, so does DFI. With the consultants out of the way, efforts can now get back to this being a local project, driven by local priorities - as it always should have been. On Wednesday, the Town of Davidson announced Mi-Connection CEO, David Auger, will be stepping down sometime before June 2017. 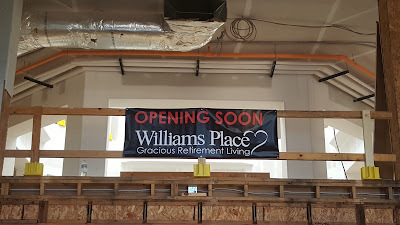 The town public information office called it a "retirement", but "moving on" may be a better description since he will be focusing on another business he owns - National Food Equipment Services with offices in Mooresville, Winston-Salem, and Raleigh. Auger was brought in by former Mi-Connection Chairman John Venzon to help right what was then a fast sinking ship that was about to take the Town of Davidson with it. In FY 2011 which ended 6-months before Auger's arrival, Davidson's subsidy to the cable company was over $2 million per year and approaching a quarter of its general fund budget. Venzon and Auger formed something of a dynamic duo to help pull the town back from the abyss the town had been brought to by its elected officials who decided getting into the cable business was angood idea. Political, financial, and operational moves all helped achieve this. 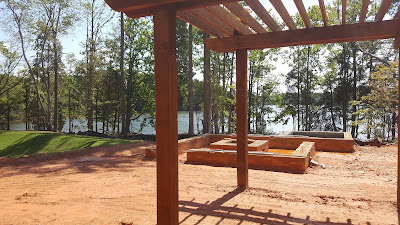 Six months after Auger arrived, Venzon helped orchestrate a restructuring of the agreement between Mooresville and Davidson that capped Davidson's annual payment at $1 million. That single-handedly cut the subsidy in half from its 2011 peak. It also bought Auger the time needed to implement operational reforms at the company to make it run better. In 2015 Mooresville was also able to refinance a portion of the MI-Connection, debt saving the towns hundreds of thousands of dollars in interest payments that contributed to the reducing subsidies. There is no doubt filling Auger's shoes will be a big task. What may be the most interesting question is why get out now? For years, citizens have been told that 2017 was the year the towns could first really start talking about selling Mi-Connection due to the structure of most of the debt. That's just next year. After such hard work, it might seem curious why Auger wouldn't stick it out until the company is sold and off the backs of taxpayers. The answer likely lies in the fact that even with all the improvement over the past few years, the company is still deep in debt and requires millions in subsidies. Auger's planned departure may be a sign that 2017 will come and go with Mi-Connection still on town books for the foreseeable future. Whatever the reason though, the citizens of Davidson and Mooresville owe a big thank you to Auger for his efforts. The price of transparency is eternal vigilence. In the last post, aShortChronicle told you about a closed session planned with the Davidson Depot developer for Tuesday evening. The meeting was to include a representative from the NCDENR - one Carolyn Minnich - to discuss brownfield issues. That post went out Sunday night. By Monday, residents had started sending mails to Town Hall asking "What's up?" Why would the town be meeting in closed session to talk with a developer - particularly one using a town commissioner's design firm on the project? aShortChronicle also heard back from Ms Minnich on Monday about the NCDENR's involvement. She had this to say. "I was not privy to how the meetings were set up and I do not know the full agenda of the upcoming meeting. I was asked to attend the Aug. 23 and Sept. 29 meetings by the prospective developer of the Davidson Depot property at 301 Depot Road. I am attending tomorrow’s meeting as a representative of the North Carolina Department of Environmental Quality’s Brownfields Program. I will not be discussing financial incentives or support during the meeting. I did not play a role in determining whether Tuesday’s meeting is open to the public." Readers should note, on Monday Davidson Town Hall sent out the agenda in an email blast and this meeting was still listed as "closed". Based on this and other emails that have come our way, Town Hall was standing by its decision to keep this meeting closed. Then Tuesday morning, something changed. Town manager Jamie Justice told multiple residents the meeting would no longer take place. Rusty Knox posted the following to the Paradise Lost Facebook page from Justice. "Based on recent discussions with the developer, we have determined there is no need for a closed session so I will ask to remove this from the agenda for tonight’s meeting. State law allows for towns to conduct closed sessions under particular circumstances. Those circumstances have changed." Monday, the meeting is on for behind closed door discussions. A little light gets shown on the situation, and a little citizen outrage is expressed. By Tuesday, the meeting is off. It would seem the only "circumstances" that changed were that citizens knew about it. While it's a good thing a closed door meeting didn't occur Tuesday night at Town Hall, citizens are left wondering, what changed, why it changed, and why Town Hall thought they had a justifiable reason for closing the meeting in the first place? Most importantly, when will the actual discussion really occur? It's doubtful too many believe the developer's issues just went away. Town Hall can be sure the citizens watching won't either. 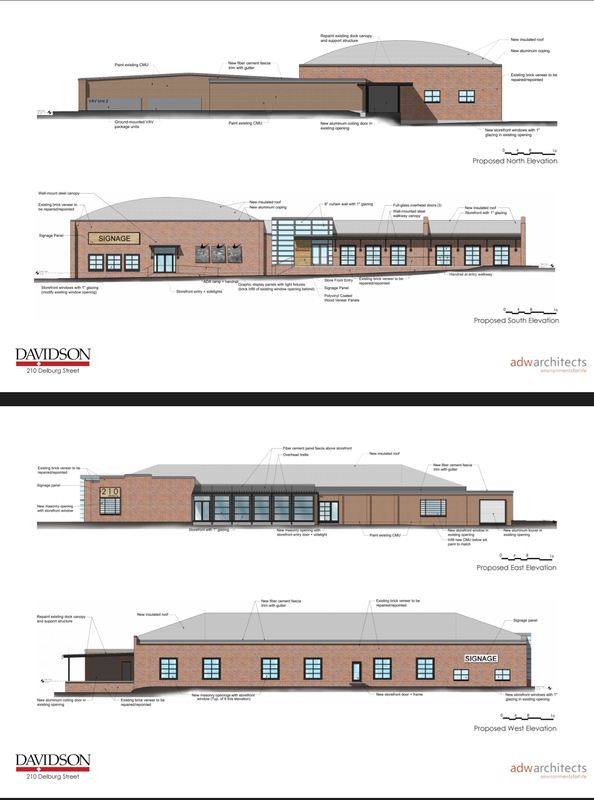 aShortChronicle has learned that the scheduled closed session meeting this coming Tuesday for the Davidson Depot project is not the first one on the subject. According to a source familiar with the situation the developers previously asked in a closed session for financial help from the Town to clean up the site and were clearly told no. Which closed session that may have been is unclear. A review of all Board meeting agendas since January 2015 shows three closed sessions with the same "economic development" justification as the one for this coming Tuesday. They were on 4/28/2015, 10/13/2015, and 1/12/2016. While the actual date is of lesser importance, it is interesting to note the 4/28/2015 date was right after the initial approval of the site plan came from the town on 4/13/2015. In light of this new information, the Davidson Board should open the discussion this coming week to the public. Closed sessions for economic development are intended to allow competitive information between municipalities to remain confidential when municipalities are competing with each other for a new opportunity. As mentioned in the initial post there has been discussion of Tax Increment Financing (TIF) support from the town. If implemented, this could run into the hundreds of thousands of dollars. However, there is also indication in the public record that the developer may have found a less expensive way to conduct the asbestos remediation not requiring public support. This was in a communication from the developer to Town Manager Jamie Justice. 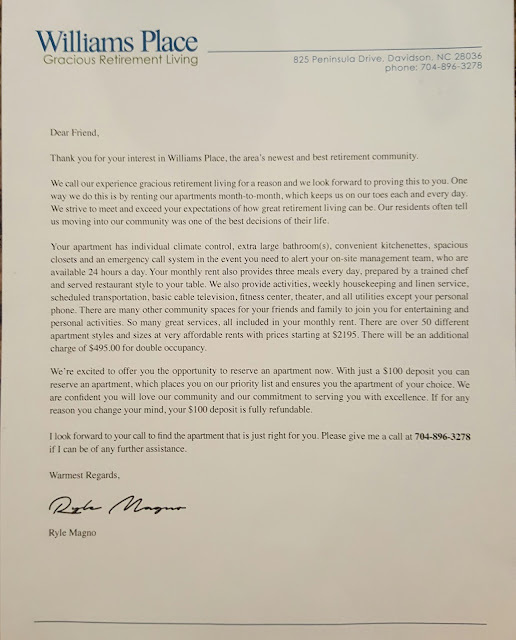 That message copied only Commissioner Brian Jenest and local real estate attorney, Susan Irvin. The public absolutely deserves to know what is going on with this project. Are special requests are being made to reduce costs for the developer? The public should know. Who on the Board supports the project? The public should know? What (if any) financial support is being sought from the town? The public should know. For these reasons the Board should open Tuesday's discussion to the public. Not doing so needs a very clear and public explanation. Commissioners may think that because this project is "by right", that they have little to do with how it proceeds. That may be true. However, unless the public has confidence everything has been handled properly, that will be hard to believe. Contact the entire Davidson Board a board@townofdavidson.org to ask them to open this discussion to the public Tuesday night. The previous column told you about Davidson Depot. Now, it's on to the next bit of concrete and steel that could also be a real Town Hall barn burner of a project - a new Exit 30 Hotel. aShortChronicle broke the story of this project back in February of this year. See here and here. Those stories revealed that a possible 120 room hotel was in the works. A follow-up piece in June (see here) revealed it was likely to be a Hyatt Place developed by the same firm that did the Homewood Suites. Nishith Patel whose firm, Beacon IMG, is mentioned in the documentation was also contacted. Beacon IMG is a hotel development firm and is behind the Homewood Suites also at Exit 30. When asked if he had a comment for this story, Patel declined with the following statement. "Not at this time, we are still in the process of completing our application for the town." Finally, Davidson Planning Director Jason Burdette said this about the project. After qualifying that the town has a standard process for projects he said, "some of these projects continue, some do not. Those that do continue usually go through significant change before an application for development is officially submitted. "In a followup question Burdette did say if this project goes forward this plan would be "conditional" - meaning the Town Board would have to approve it." This week aShortChronicle was able to confirm some significant new details per a public records request and some follow up questions. As of this writing on Saturday the plan is not up on the town website. Readers should check here for it to show up any time now. At 6 stories, this would likely be the tallest building in town sitting right next to the Community School of Davidson elementary/middle school on Griffith Street. The requirement to get Board approval could be contentious. When Woodies Auto next to this site was approved it resulted in a split 3-2 Board decision with current Commissioners Rodney Graham and Jim Fuller voting against it. The scope and size of this project makes that one look like child's play. To that end those lobbying for the project appear to be hard at work. The public record shows extensive efforts to meet with Commissioners outside of the normal planning process. There's nothing wrong with that per se, but it is an indication they are not certain the project has the votes. Tu 9/20: PB-BOC Joint Work Session? The clock is already ticking for citizens to have their input heard. 1. Send an email to board@townofdavidson.org. 2. Get ready to pack Town Hall for the above events in red. Make sure to check back here in case the dates change from this tentative schedule. The requirement to get Board approval could be contentious. 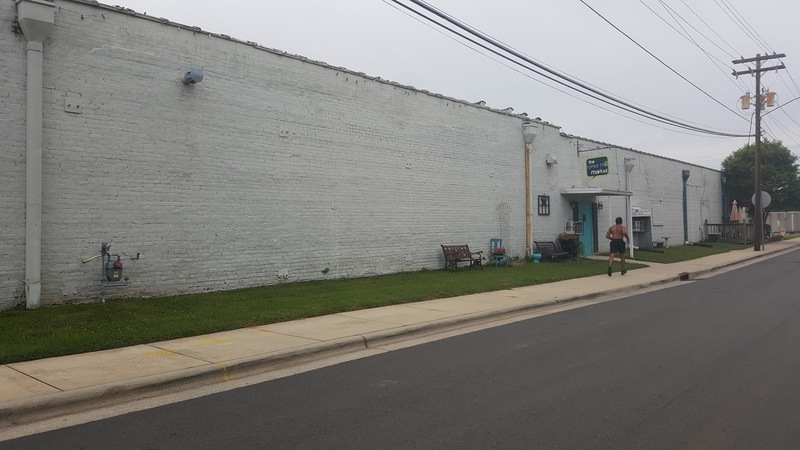 When Woodies Auto next to this site was approved it resulted in a split 3-2 Board decision with current Commissioners Rodney Graham and Jim Fuller voting against it. Nov-Dec: Additional EPM As Needed? The clock is already ticking for citizens to have their input. Davidson residents who care about the small town character of the community have more, much more to worry about than just the Catalyst Project. The worst aspects of Catalyst appear to have been beaten back. Those would be the inclusion of a Hotel and a large amount of residential on the Town Hall site and surrounding area. Instead, that project has slowly morphed into a project for various civic uses. However, the sentiment behind those proposed uses which people disliked at the town center are about to resurface just along historic downtown's edges. Davidson Depot and an Exit 30 Hotel loom large in the immediate future. Here is what aShortChronicle has found out recently. The long wait for movement on the proposed Davidson Depot site appears to be over. 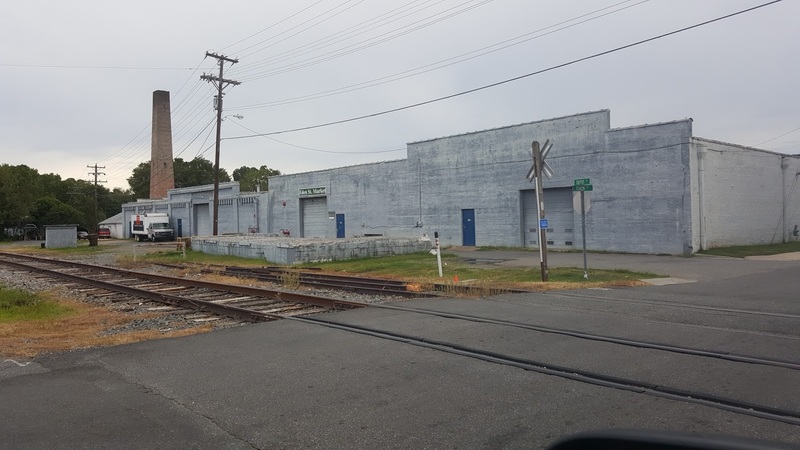 Davidson Depot proposes 180 apartments on the site along Eden Street across the tracks from Jackson and down Depot Street. It's on the site of the Metrolina Warehouses occupied by Eden Street Market and The Rumor Mill. Developers gave an FYI presentation to the Design Review Board (DRB) on Tuesday. It's safe to say by the reaction of the DRB, the project architects have a long way to go before getting that group's approval. However, via a public records request, aShortChronicle has learned this was just one of a series of planned meetings worked out in conjunction with Town Hall staff. The next will be as part of a closed session during the 8/23 board meeting. The discussion per the records requests will include a representative from the NC DENR. That's the Department of Environment and Natural Resources for the state. It's unclear why a meeting with NCDENR would qualify for a closed session. When asked, Town Public Information Officer Christina Shaul responded by referencing the general statute...from § 143-318.11. Closed sessions. (4) To discuss matters relating to the location or expansion of industries or other businesses in the area served by the public body, including agreement on a tentative list of economic development incentives that may be offered by the public body in negotiations, or to discuss matters relating to military installation closure or realignment. Any action approving the signing of an economic development contract or commitment, or the action authorizing the payment of economic development expenditures, shall be taken in an open session. Without more information its difficult to know exactly what they are planning to talk about behind closed doors. The bold part added for this article is a likely clue - economic development incentives. When you add the point that NCDENR will be there it logically follows there may be some discussion on incentives from the town to help clean up the brownfield on the site. The warehouse site used to be used for manufacturing asbestos tiles and that needs to be cleaned up. The cost of that cleanup is a major reason the site has not been redeveloped earlier. The state environmental agency + closed session + economic incentives = possible big $$$ from the town to help clean up a mess for private owners. When asked if the town was considering Tax Increment Financing for the project, Shaul only said this. "We are not ruling out any TIF at this time." Tax Increment Financing is a method whereby the additional taxes brought in by a development are dedicated to paying off some specified need. While that can be positive, it hollows out the tax base and can leave little money left to serve the residents of the new development, thus shifting the tax burden to the rest of the town. Oh, and judging by the logo on this landscape plan, Commissioner Brian Jenest's firm appears to once again be involved. So, if/when the Board votes on any possible incentives he would once again have to recuse himself. Up next Exit 30 Hotel. More than just about anything this election season, the Republican Party is in need of some party unity. Last night local Republicans in the MeckGOP had a golden opportunity to achieve a little of that. Instead party leaders chose to engage in a little foot shooting of their very own feet. The MeckGOP Executive Committee met Wednesday night to pick a replacement for NC-92 Rep Charles Jeter of Huntersville. The party needed a replacement both for the remainder of Jeter's term through January and for the ballot this November. The hands down obvious choice for both spots going into the meeting was to pick Jeter's primary opponent, Tom Davis. 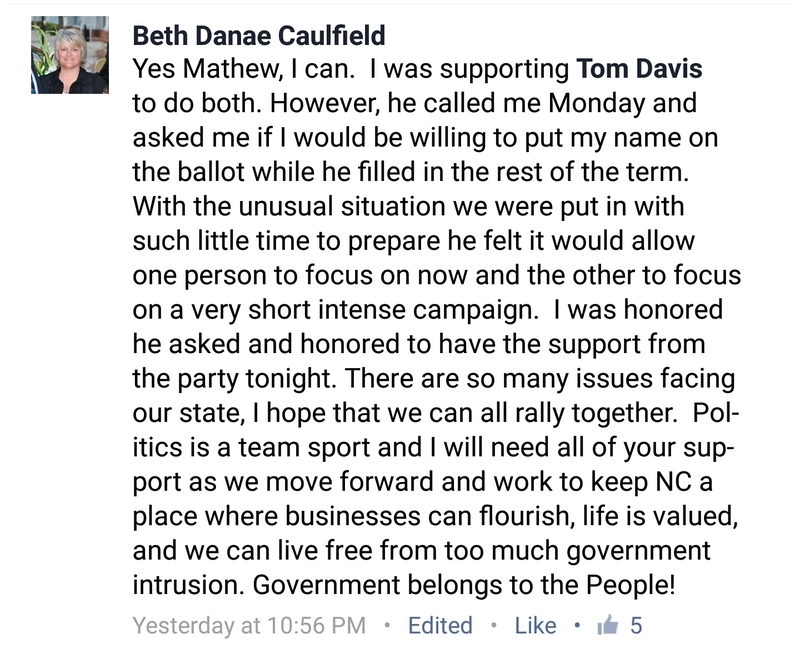 Davis had a long list of endorsements from elected officials including the other two elected members to the NCGA from the North Mecklenburg area, Senator Jeff Tarte and Rep John Bradford. Davis even got the endorsement from his former opponent Charles Jeter. That says a lot about Jeter (and Davis) after what was a sharp and pointed primary campaign. A former campaign worker of Jeter's, Stacy Phillips, posted a complete list of Davis's endorsements to Facebook the day before the meeting. Then came the meeting Wednesday night and a series of surprises. Yours truly was not at the meeting, nor have I spoken to any of the parties directly involved since last night. However, a good bit was posted on Facebook by those who were in the room and were involved. The first surprise was that Davis was not going to seek the spot on the ballot. Instead, former Huntersville Commissioner Danae Caulfield was going to seek that appointment. Caulfied had been a supporter of Davis's since he announced he would be seeking the replacement appointments immediately after Jeter announced his resignation in July. Caulfield however would NOT be seeking the appointment to fill out Jeter's remaining term. Davis was going to continue seeking that spot. Here's how Caulfied explained it in response to the below question from Meck County Commissioner Matthew Ridenhour. Ridenhour had endorsed Davis. Caulfield was unanimously selected to be on the ballot by the 7 members of the MeckGOP Executive Committee present from NC92 allowed to vote. The crazy and unity damaging part of the meeting came when it was time to replace Jeter for the remainder of the current term that ends in January - a mere 4+ months away. Keep in mind, the NCGA is out of session and not much if anything is going on at the moment in Raleigh It's election time and those running for office are in their home districts campaigning. Letting Davis fill the remainder of the term made sense. He had nearly beaten Jeter in the primary. He had all the endorsements listed previously and doing so would be a GREAT way to show a little party unity. Out of the blue, Justin Moore who is apparently a long time activist with the MeckGOP threw his name into the hat for the nomination. Moore gets the nod, 5-1. Huntersville Mayor John Aneralla voted for Davis. Huntersville Commissioners Rob Kidwell and Melinda Bales voted along with 3 others to give the seat to Moore. The news of this outcome swept social media. Much of the response would best be classified as anger that Davis had been snubbed. In response, Moore had this to say on Thursday. 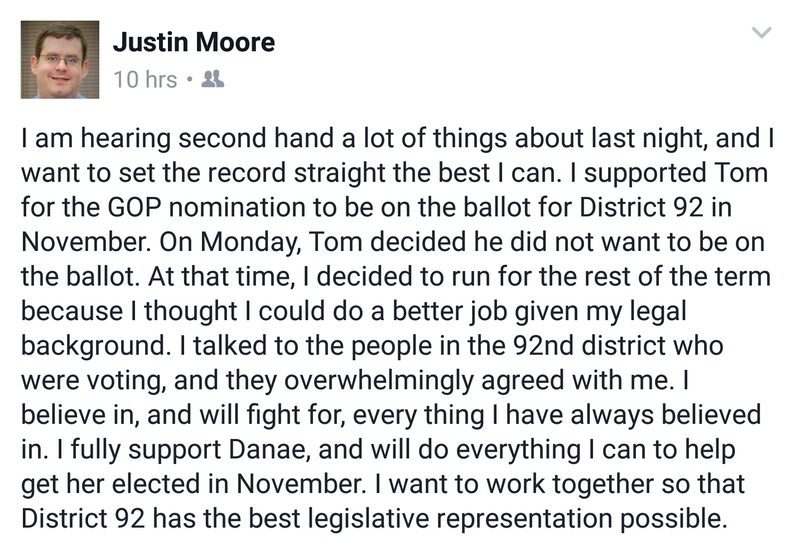 Moore who also had a vote in the decision abstained on Wednesday. Though clearly, he had already counted the votes. His vote wasn't needed. That's politics. But seeking a seat for a few months when there is effectively nothing to do at the expense of an opportunity to foster some party unity, that's certainly not good politics. County Commissioner Jim Puckett said it best at the end of a long post Tuesday night on the whole series of events. "Tonight five members of the GOP executive committee decided they knew better than all of the above. It was another eye-opening example of why the public is disgusted with politics in general. Contrary to what Donald Trump and Bernie Saunders believe political party politics is not rigged, it is just stupid." Correction: The original said there were a few dozen Ex Comm members from NC92. aShortChronicle has since been told it is only 8. The DailyHaymaker.com broke the story over the weekend about the MeckGOP finally calling a meeting to replace Charles Jeter as the NC-92 Representative to the NC House and to pick a replacement candidate for the upcoming election. "As per Article XV.B of the Mecklenburg County Republican Party Plan of Organization, the purpose of the meeting is to recommend to the Governor the name of an individual to fill the vacancy created by Representative Charles Jeter’s resignation from House District 92 seat, which was effective as of July 25, 2016, and to select a person to fill the vacancy in the Republican nomination for House District 92. No other business may be considered at this meeting." The appointment to fill out the remainder of of the term vacated by Jeter is somewhat of a non-issue since the NCGA won't be back in session prior to election day - unless for some unexpected reason an emergency special session is needed. Of more importance to voters is the decision on who replaces Jeter as the Republican candidate in the upcoming election. Jeter's primary opponent, Tom Davis, is pursuing both. He's clearly the most logical candidate for the job having just barely missed beating Jeter outright in the spring primary. He has also lined up several endorsements from local electeds in North Mecklenburg. However, he's apparently not alone in wanting the spot. A few contacts with those familiar with these kind of meetings predict more than just Davis's name could/will be put up. Depending on who shows up to the meeting and how many candidates names are nominated, this process could be non-eventful or a real barn burner. Only MeckGOP Executive Committee members residing in NC92 will be able to vote. That would only be 8 people, but then not all of them will possibly show up for the meeting. That means the candidate could be chosen by only a relative handful of people. With tensions high around several issues, the I77 HOT Lanes project in particular, dirty politics could certainly enter into the mix. Regardless of the replacement candidate selected, there is the also the question of actually getting on the ballot. A call into the Mecklenburg Board of Elections Monday morning didn't provide a lot of clarity. Kristin Mavromatis with the BOE office told aShortChronicle that "no guidance had been received from the State" yet on whether or not a replacement candidate can get on the ballot at this point. That's the same answer from the BOE as it was three weeks ago right after Jeter resigned. While it may ultimately be determined that a candidate replacement is allowed, if ballots have already been printed there would be a cost to fixing that (if it's even possible). While Wednesday night's decision is important, it won't be the last important one for NC-92 voters before casting their ballots this election. Bonus Observation: One interesting and unanswered question is why did the MeckGOP wait this long to schedule this meeting? The MeckGOP waited three weeks . On the same day the announcement came on the MeckGOP meeting, another Sr NCGOP figure resigned, Majority Leader Mike Hagar from NC 112. The meeting for his replacement by trhe Rutherford County GOP was announced the same day Hagar resigned. That meeting is also scheduled for August 17th. 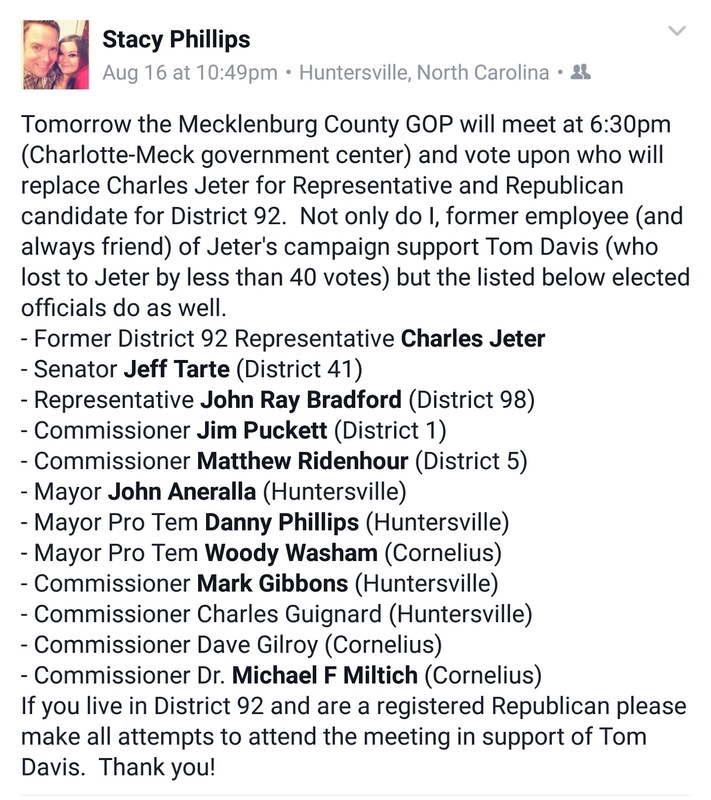 Would the MeckGOP have even bothered to replace Jeter if they were not put on the spot by this other resignation? It's that kind of lingering question that should give everone pause that they will do the right thing on Wednesday. "Coconut Telegraph" wrong on WestBranch? We'll have to wait and see. 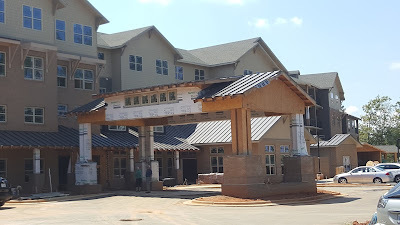 - Jimmy Buffet "Coconut Telegraph"
Rumors have been swirling the past couple weeks about possible delays in starting the WestBranch neighborhood off Davidson-Concord Road on Davidson's east side. So, in the interest of passing along information aShortChronicle did some checking this past week. One possible source of delay could have been getting approvals from Duke Energy because the project abuts the easement for Duke's transmission lines that cross the Westmoreland Farm where WestBranch will be built. Duke can be a real stickler in protecting its assets. Just ask anyone who has had them cut down trees on and near private property how reasonable they can be, and you will find that Duke protects its right of way very aggressively. Meredith Archie with Duke's media relations department had this to say. "Thanks for reaching out on the West Branch development project as it relates to Duke Energy's transmission lines. There are two transmission corridors that cross the West Branch. Duke Energy is currently working with the project engineers to ensure compliance along these transmission rights-of-way." Following up on this with Lennar Homes and ColeJenest&Stone - the developer and designer of the project - David Nelson from Lennar had this to say. "WestBranch has received Master Plan approval from the Town of Davidson, and we are now moving forward with construction document review by the Town and Mecklenburg County. As part of that review, as with any project with utility rights of way, we are coordinating with Duke and others. 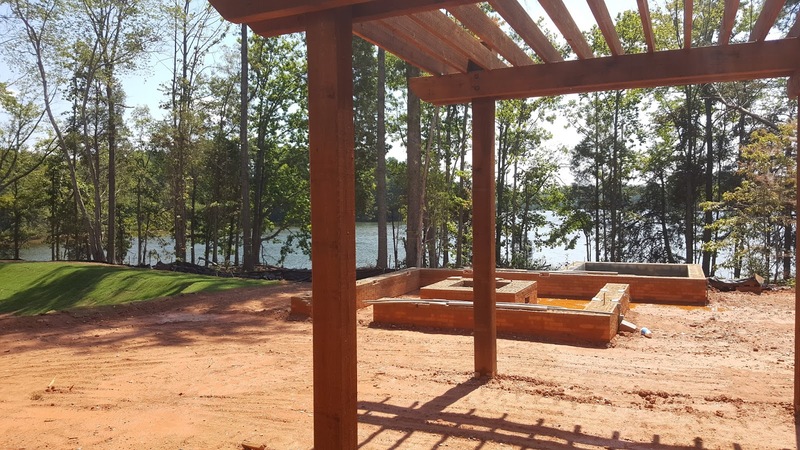 We anticipate approvals for the community in a normal timeframe and look forward to making WestBranch a vibrant part of Davidson." The town website indicates the Master Plan was approved on August 3rd. So, it looks like if there are any delays in starting WestBranch related to these easements, they would be minor or none at all. Meaning, 306 new homes are on the way soon to Davidson's east side. The "Coconut Telegraph" appears to have been wrong this time. Delburg Street has seen a lot if activity in recent years and that activity looks to continue. Starting with the "pocket neighborhood" being built by John Marshall Homes - the firm owned by Davidson Commissioner Rodney Graham and continuing with most of the old mill houses being replaced by new homes, the area has seen a good bit of change. Now Davidson College has proposed a project at 210 Delburg focused on some non-residential uses. 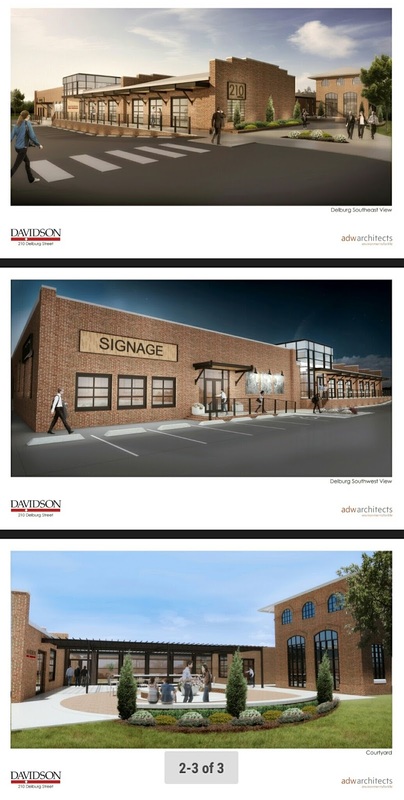 According to info on the town website "the proposed floor plans and building design indicates five small business incubator spaces along with common areas for congregation." 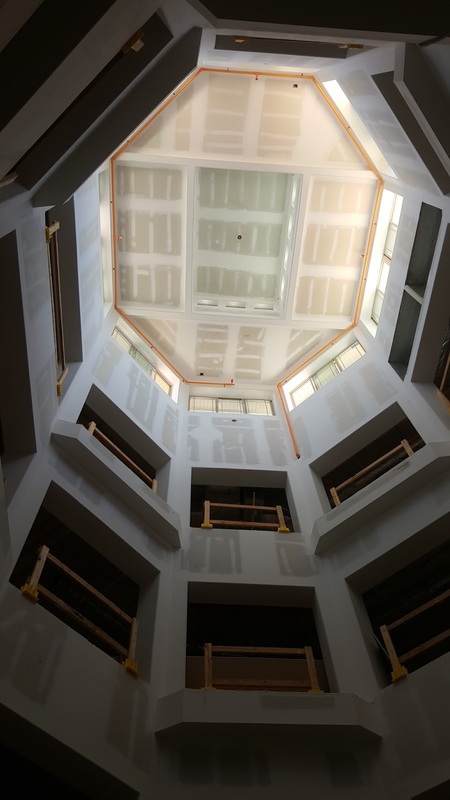 "210 Delburg is an exciting opportunity for Davidson College and I expect to have more detailed information to share later in the academic year. The college is in the process of evaluating the best way to leverage the building’s unique location and design. The work being done on the site right now is intended only to stabilize the building’s core and infrastructure." An intro to the project will be presented by ADW Architects at the upcoming Design Review Board meeting on August 17th. One of the principals at ADW is Bob Lauer of Davidson. Lauer also serves as the current Chair of the DRB. Catalyst Project dead? Not quite. The “Catalyst Project” in Davidson has been nothing if not contentious. In fact, it’s been so controversial that as the town limps forward with planning for uses on the 3.5 acres of town owned land surrounding Davidson Town Hall, there seems to be some desire to not use the name “Catalyst” for what the town looks to do next. After more than nine months of citizen pushback aimed at protecting the small town character of Davidson, it appears Town Hall has finally backed off from the most controversial aspects presented last October by consultants from the UNC School of Government’s Development Finance Initiative (DFI). 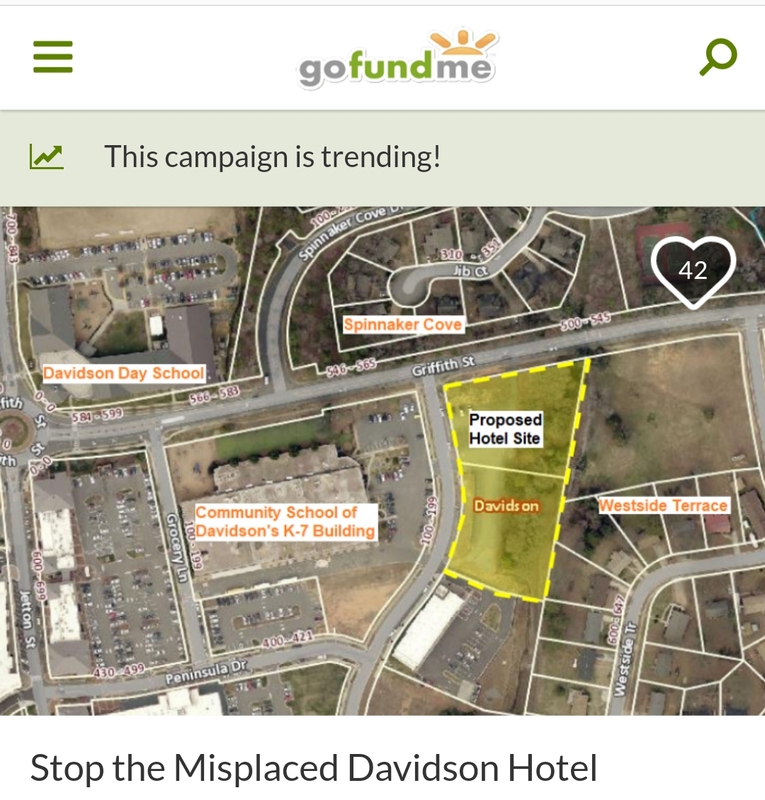 That proposal would have converted the downtown area into something more resembling Birkdale in Huntersville than what’s there in Davidson today. First, the idea of a downtown hotel was jettisoned. Then, DFI presented multiple options most of which still had large amounts of commercial and residential uses. Now, the town appears to have dropped those as well, instead focusing on only public uses such as more space for public safety, additional parking, and a new multi-story, multi-use building in front of the existing Town Hall on Main Street. When asked about this revised Catalyst proposal, Commissioner Beth Cashion responded with the following. Some of the “discussion” Cashion refers to surely includes the lively and almost heated debate between Commissioners at the July 12th Board meeting following what was dubbed a “mini-retreat” the night before. “Heated” may be too strong a word, but the discussion at that meeting was about as direct as one will see between electeds in normally genteel Davidson. After a painful-to-watch back and forth on whether or not Commissioners should take an official vote on studying this public-only option, Commissioners split 3-2 to study DFIs option #2 without the commercial. If that’s ever built it would come later. Commissioners Jim Fuller and Stacey Anderson dissented. It’s rare in Davidson to see public discord on controversial topics. But Commissioners Fuller and Anderson should be commended for their persistence in getting this decision on the record with an official vote. The “#1” in the quote from Commissioner Cashion refers to a list of questions sent to the three Commissioners who supported the proposal. Commissioners Cashion, Jenest and Graham were asked three questions. #1 In the event this option went forward, would they commit to putting the various pieces before voters in the form of separate bond referendum questions? #2 Would they commit to standing for reelection in 2017 if the public projects went forward? #3 Would they ensure transparency in the process for planning these projects? Not surprisingly, none of the Commissioners would commit to standing before the voters in 2017 at this early date, but all assured the process would be transparent. Very disappointingly however, none of them would commit to putting these projects before the voters in the form of General Obligation bonds. That’s in spite of the fact that combined these projects would constitute by far the largest town expenditure since Mi-Connection. Rusty Knox who started the Paradise Lost Facebook group has been leading the citizen charge against the Catalyst effort. Knox had this to say about the new proposal. 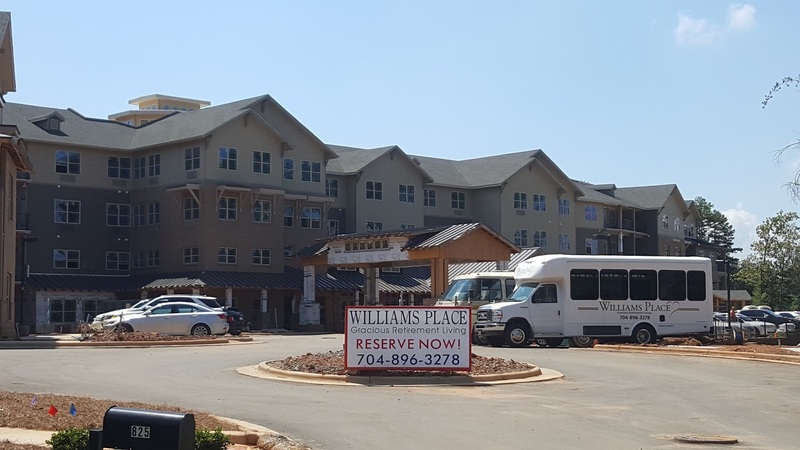 Regardless of how this project goes forward and regardless of what it’s called, development in downtown Davidson looks to remain a controversial topic for some time to come. 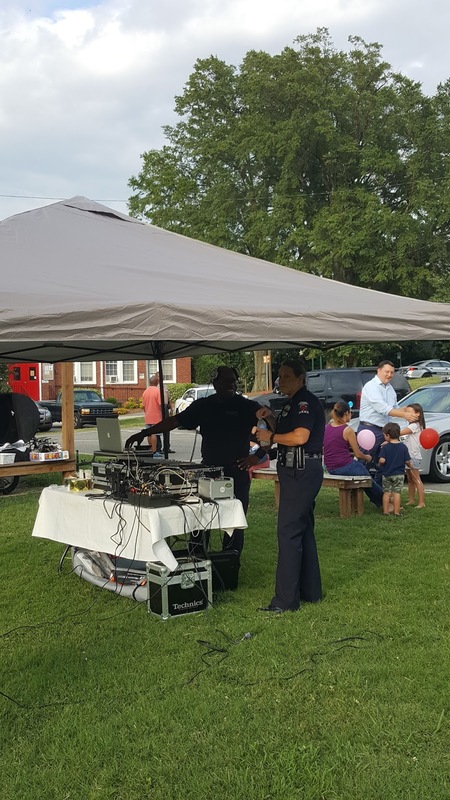 Coming on the heels of Tuesday's record crowd at the "National Night Out" event in Davidson is a story on an effort called Adopt-A-Cop. The effort is being coordinated by Davidson resident Christine Feeney and seeks to raise at least $3,600 for 6 new bullet proof vests to replace existing ones. According to Feeney's Facebook page, after being inspired by a similar program in Concord, Feeney seeks to get a something similar up and running in Davidson. The Concord "program involved adopting a police officer and pairing them with a person in the community who would send them a personal note of appreciation and a tangible gift around $25.00. After speaking with the Chief of Police in Davidson I am going to do something a little different. They are in need of replacing several bullet-proof vests this year. I am asking those that participate in this program to write the note of appreciation to the officer they are assigned but to make a monetary donation in the name of their officer to a fund that will be created to purchase the vests. You can contact Christine Feeney at her Facebook page if you want to participate this way. Feeney goes on to say "if folks don't want to be assigned an officer but want to donate they can send a check to the police department with a memo that it is for the vest fund." You can also drop notes and checks off directly at Davidson Town Hall on Main Street. 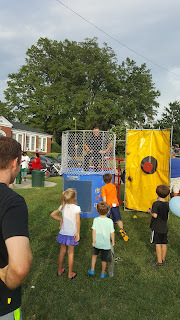 Feeney has set an aggressive goal of raising the money by Monday, August 15th. 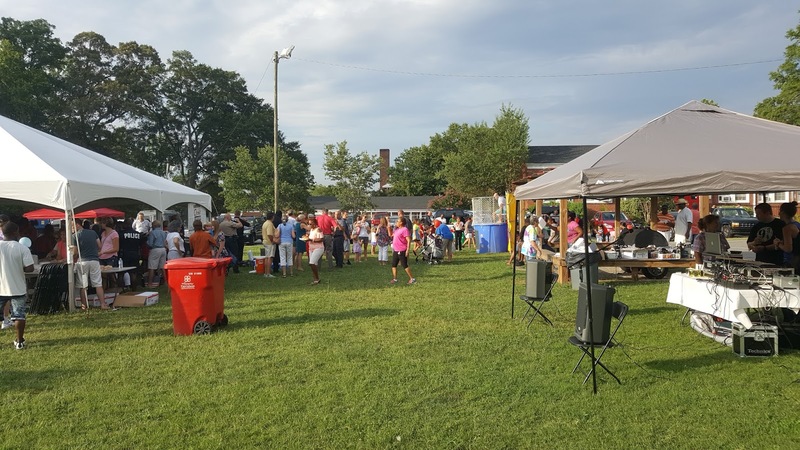 While that may seem like a short time frame, Davidson has a great history of raising money quickly for things important to the town. In 2013, the Davidson Community Garden quickly blew away a similarly sized fundraising goal. Back in 2011, to prevent closing the Davidson Public Library during the throws of the Great Recession, donors raised well over $200,000. The DPD does a great job keeping Davidson one of the safest towns in the state. Now, it's time to return the favor. With that in mind, residents will hopefully open up their wallets for this worthy effort. 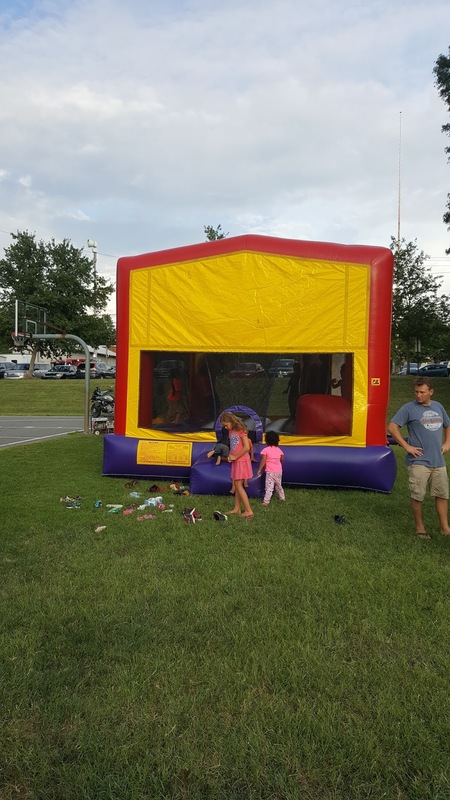 Record showing at Davidson's "National Night Out"
Davidson participated in the "National Night Out" event on Tuesday evening with a record showing at the Ada Jenkins according to a comment by Chief Jeane Miller. By one estimate there were 300 in attendance. "National Night Out is an annual crime prevention and community-building event, sponsored by the Davidson Police Department to promote involvement in crime prevention activities, police-citizen partnerships, and neighborhood cohesiveness." There was plenty of community building on display with a bounce house, dunking booth, and face painting for the kids. 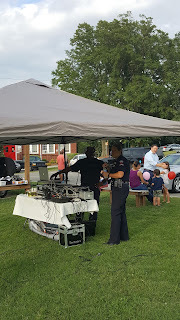 A DJ was also on hand pumping out tunes. Here are a few pics of the event. 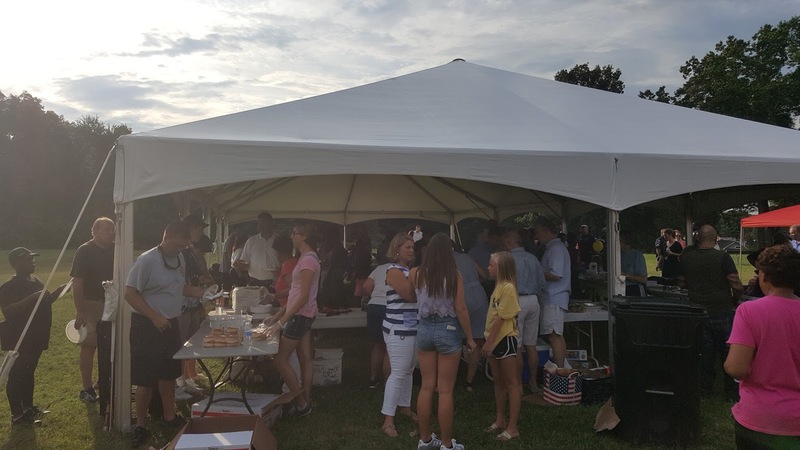 The burgers and dogs were well received.